14 karat rope chains, hand finished in NYC. 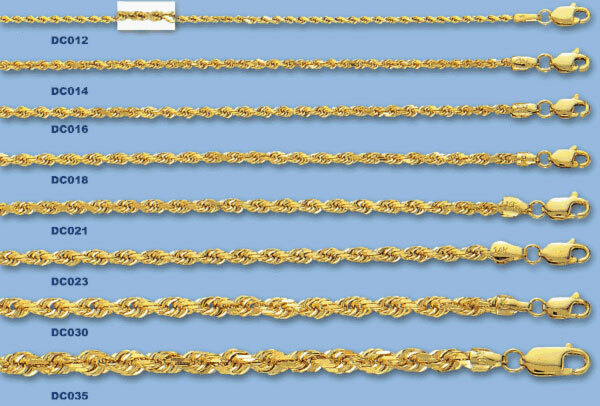 14k diamond cut rope chains. Hand finished and polished just before shipping. 30" chains are a special order item, and require 4 business days to ship.